God Rods is an interpretive movement creative arts group that is an extension of Capital's larger Children's Ministry Drama Team group. 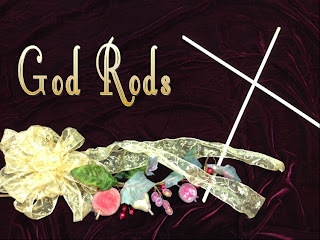 God Rods is not a regularly practicing or performing group, but rather just something a "little extra special" we do sometimes whenever Pastor Josh gets inspired or has the time. This ministry began several years ago and the original team of Morgan, Kendall, Hannah, Julia, and Ashley was together long enough to perform two special pieces, one at Easter called Arise My Love and one at Christmas called We Are the Reason. Since that time, three of the girls moved on and the ministry went quiet for about two years. Then this past Christmas, Pastor Josh decided to revive it and he called back the two girls, Julia and Ashley, who still remained from the original team and then recruited new performers in Grace, Amber, Katelyn, Bailey, Crystal, and Chryne. With special guest help from Christian Lillo who played Jesus, the team performed Still Her Little Child.